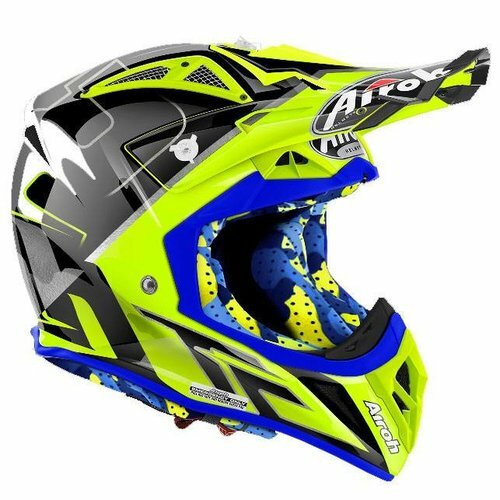 Airoh Aviator 2.3 AMSS Helmet - Free Shipping! 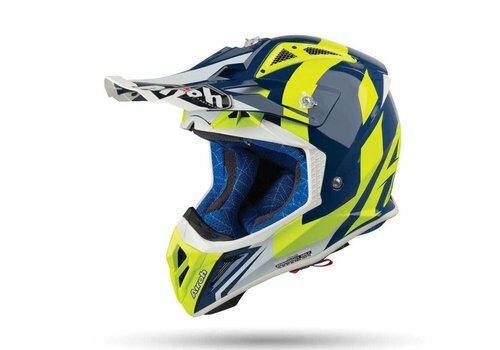 Buy Airoh Aviator 2.3 AMSS Helmet ? ✓The best price ✓free shipping ✓Top brands ✓ quick delivery ✓ Order now! 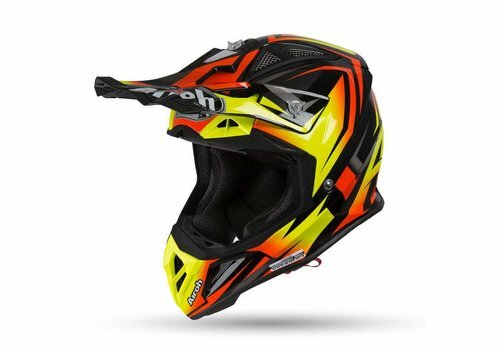 Airoh Aviator 2.3 AMSS GREAT Orange gloss Helmet Buy ? ✓The best price ✓free shipping ✓Top brands ✓ quick delivery ✓ Order now! 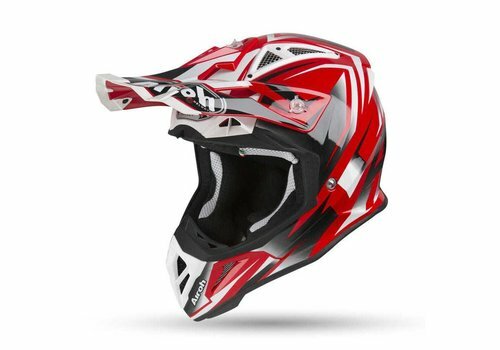 Airoh Aviator 2.3 AMSS BIGGER Red matt Helmet Buy ? ✓The best price ✓free shipping ✓Top brands ✓ quick delivery ✓ Order now! 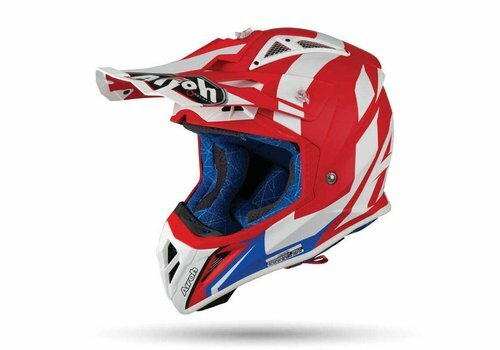 Airoh Aviator 2.3 AMSS FAME Red gloss Helmet Buy ? ✓The best price ✓free shipping ✓Top brands ✓ quick delivery ✓ Order now! 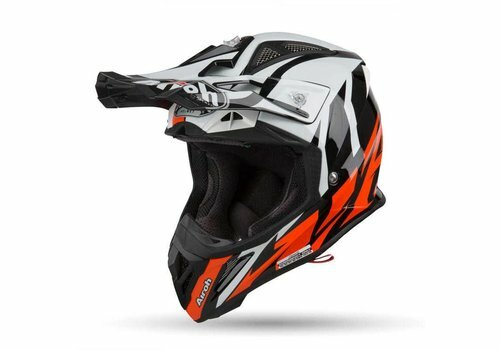 Airoh Aviator 2.3 AMSS FAME Orange matt Helmet Buy ? ✓The best price ✓free shipping ✓Top brands ✓ quick delivery ✓ Order now! The Airoh Aviator 2.3 AMSS is the successor of the Airoh Aviator 2.2. 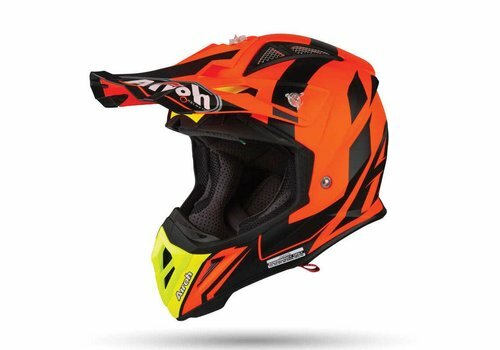 They pulled out all the stops, at Airoh, to further improve this Off-road helmet. The Airoh Aviator 2.2 was already an extremely safe helmet. And with the Aviator 2.3 they have managed to improve upon it. Airoh has developed a unique model with the aviator 2.3. AMSS (Airoh Multi Action Safety System) of the Aviator 2.3 is a unique system that was first introduced by Airoh with the Aviator 2.3. Because of this technology, the Aviator 2.3 is the first model in the world with two inner shells that are separated by silicone inserts. These inserts ensure that the outer shell, of the two inner shells, absorbs the energy at impact. 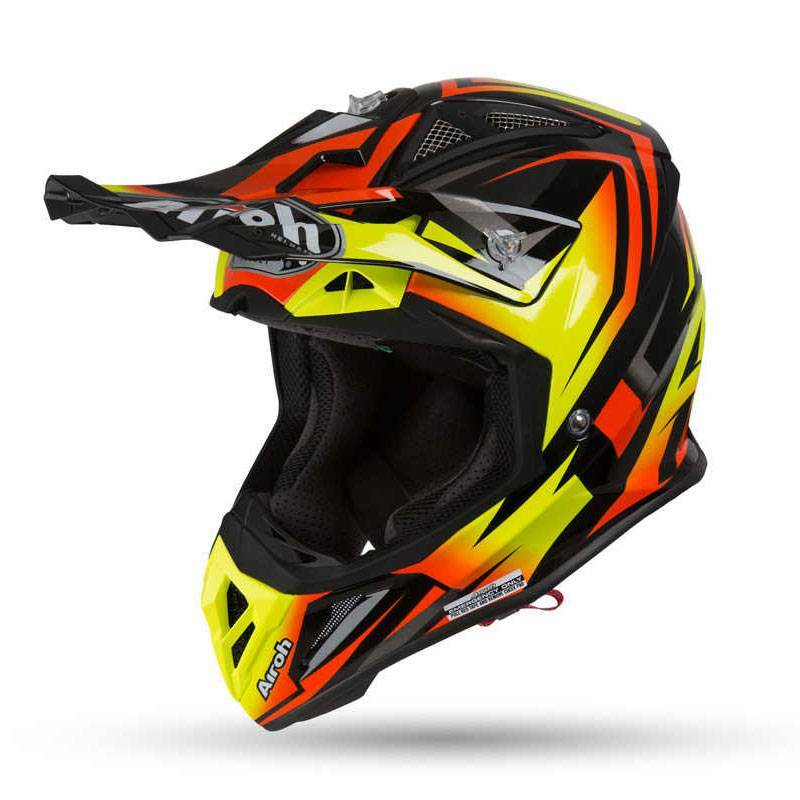 The energy is largely absorbed by the outer shell of the two inner shells, which gives the head of the rider optimum protection. 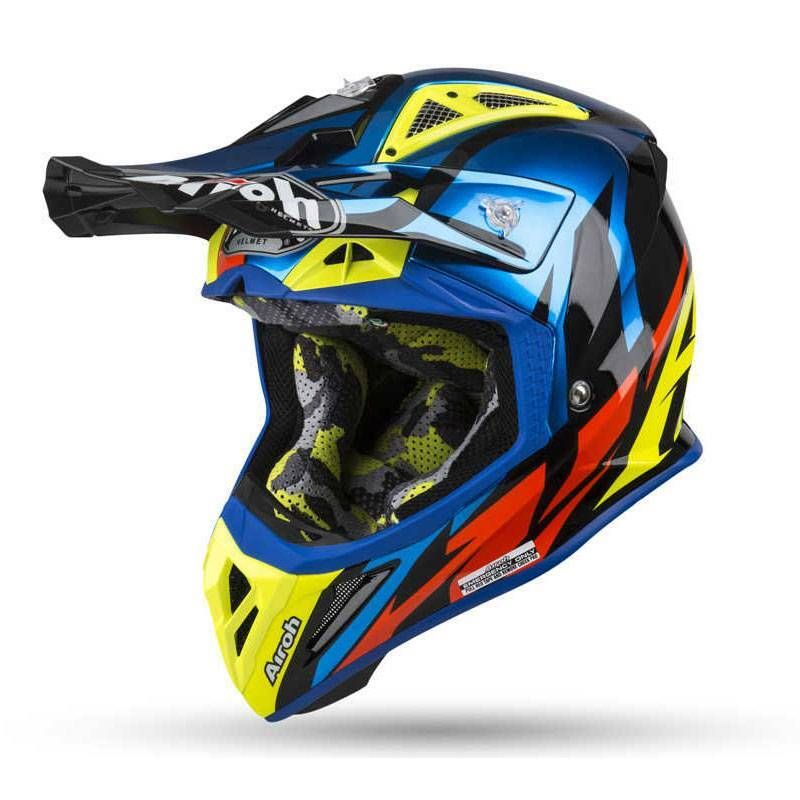 With this helmet on you can, more confidently, take on the most extreme challenges. A worthy competitor of the Aviator 2.3 AMSS is the new Shoei VFX-WR. 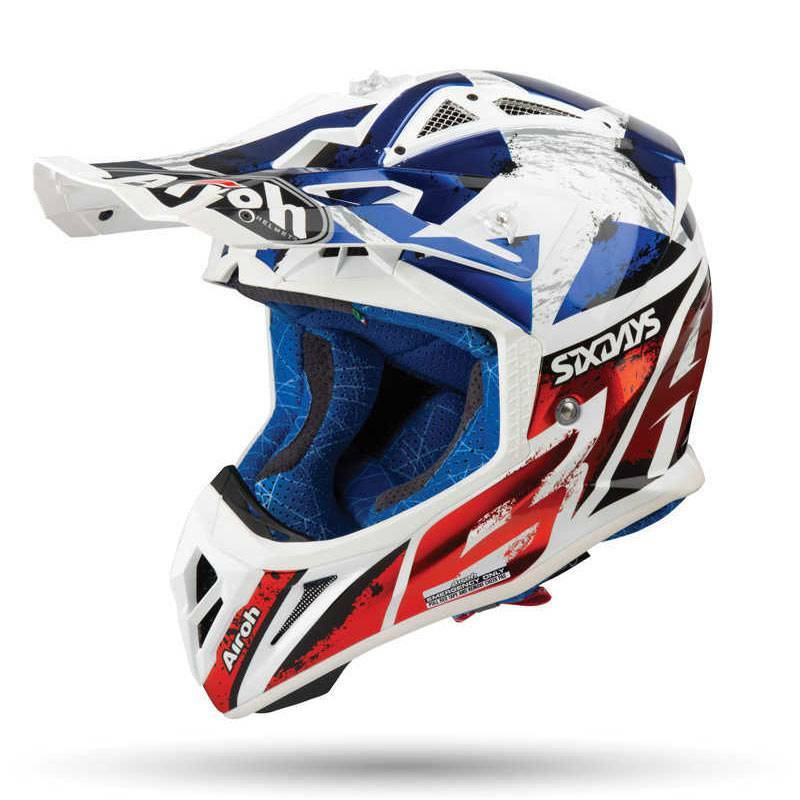 In terms of price, this helmet is slightly higher than the Aviator 2.3 AMSS with a suggested retail price of € 669. 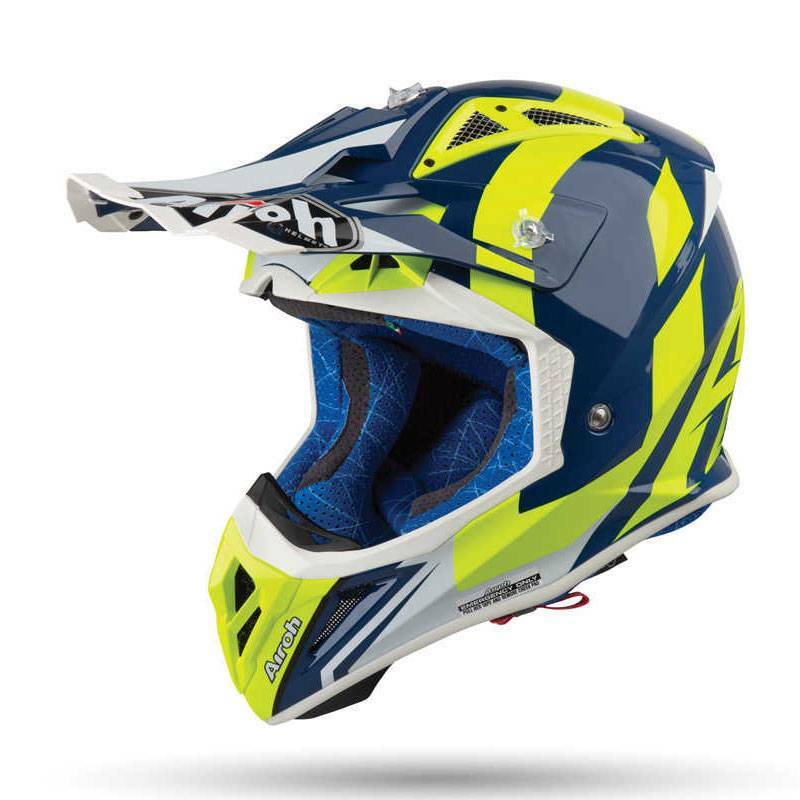 This Off road helmet also has a shell of high-quality material, the AIM +. This material is unique to the Shoei shell constructions. Furthermore, this helmet also has an E.Q.R.S. (Emergency Quick Release System) For its lining. 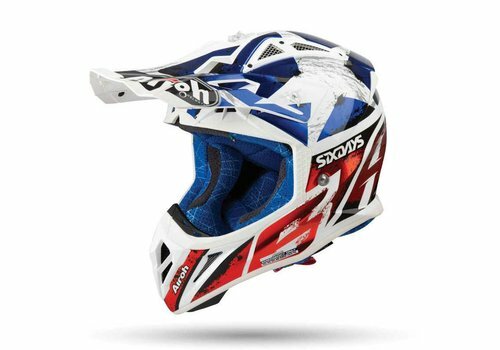 Shoei has also renewed the inner shell of this helmet with the help of a new technology called M.E.D.S. (Motion Energy Distribution System). As indicated above, this helmet is extremely safe. The outer shell is made of 100% carbon. 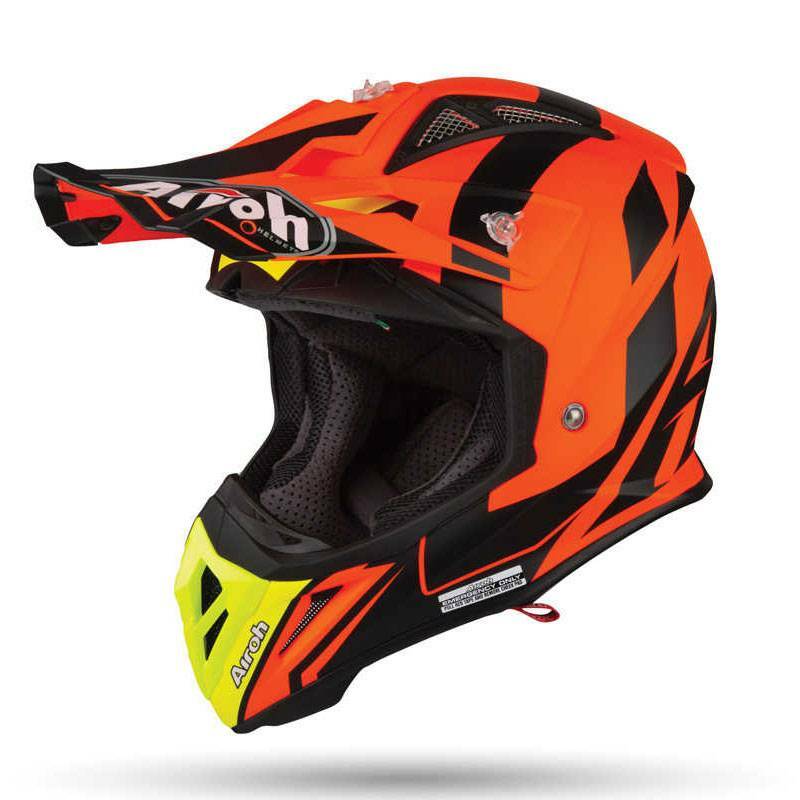 This lightweight material is very strong and offers optimum protection for the rider. This helmet weighs about 1050 grams. 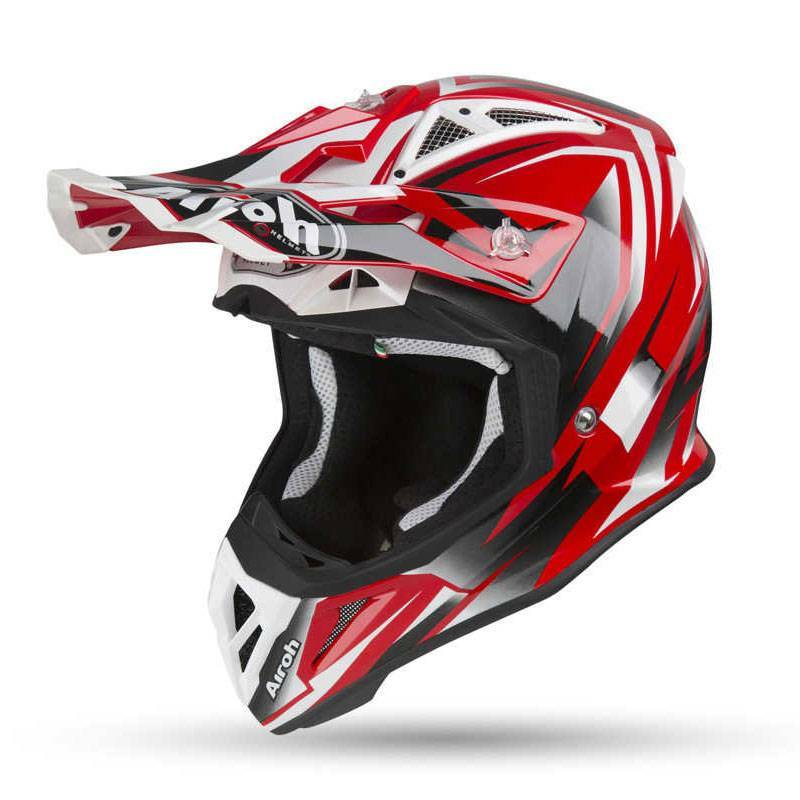 It is comfortable to ride with a light helmet, while you are optimally protected. Because the helmet is light there is less pressure on the neck and you can concentrate better on riding. 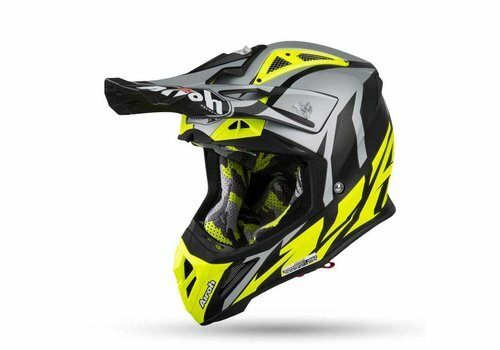 Furthermore, the Aviator 2.3 AMS2 Airoh helmet is equipped with the A.E.F.R. (Airoh Emergency Fast Remove) system. This A.E.F.R. system makes it possible to remove the cheek pads while you are still wearing the helmet. This rapid removal of the cheekpads can be important in an accident. After removal of the cheek pads, the helmet is very easy to remove without causing injury to the head or neck. 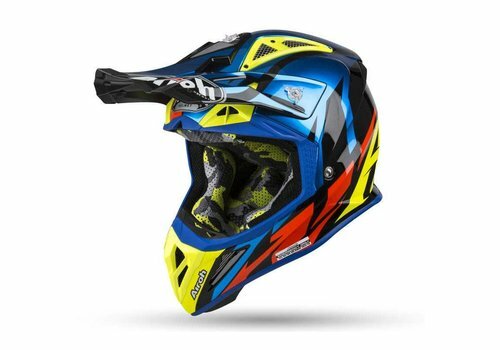 This helmet has a double D closure, the best available at the moment. This closure is very easy to handle and is sturdy and stable. You do not have to worry about it, opening on its own. 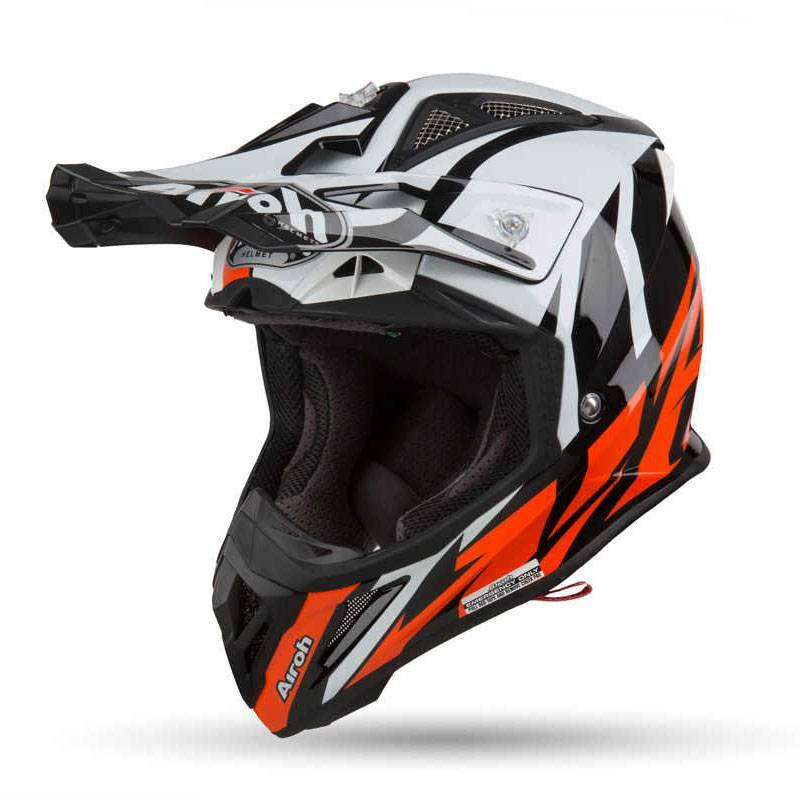 This Airoh helmet is ECE 2205 certified. The ventilation system of this helmet is extremely good. The ventilation entrances have been renewed on the chin. This promotes comfortable breathing. The air intakes at the front are situated on the chin and on both sides on the forehead. The cool air enters through the air inlets, passes between the two inner shells and goes out as warm air at the back, via the six air outlets. This has a wonderful cooling effect on the head of the rider. The air exhausts on top of the helmet can be covered with supplied valves. This is very useful when it rains or to keep the mud out. Furthermore, there are removable and washable air filters in the ventilation openings. These dust filters prevent any sand, mud or dust that could come through the air gap. That is necessary with an off-road helmet. Furthermore, the nose protection piece is removable. In general, motocross helmets do not have a face shield. They have an extremely wide field of vision and are suitable for wearing with cross goggles. 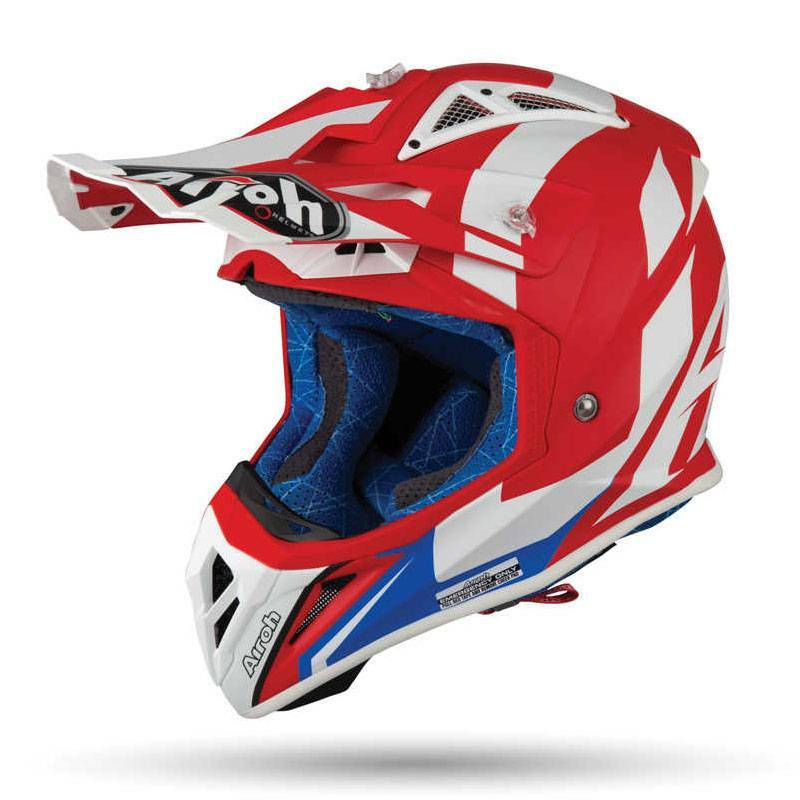 Furthermore, this helmet has a helmet peak, which you can extend with a short or long piece. The extension is included. This helmet is also prepared for mounting a Go pro Camera and the mounting material is included (camera is not included). If you have a camera, it is useful that it can be attached to the helmet, so that you can relive your rides. The lining is as we were used to it, from the Airoh aviator 2.2. It is breathable, washable, removable, and anti-bacterial. In addition, with the aviator 2.3 the liner is provided with magnets. This innovation makes the removal and reattaching of the lining very easy and fast. 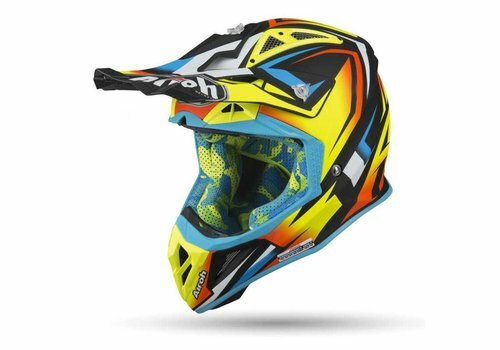 This is especially nice because the lining in this kind of helmets has to be washed more often in connection with mud and sand. Ventilation: Air vents with air filter on the front and air outlets at the top and back.